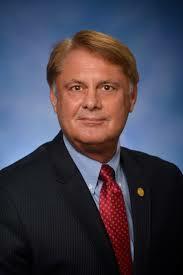 Michigan State Representative Larry Inman has requested clarification on his reference to AFP’s Pete Lund in yesterday’s post. We are happy to provide an outlet for clarity. Posted without comment. ← Do You Miss Her Yet? #DeVosThreatenedAHaymaker? Or is Lund trying to start a bidding war for the affections of AFPè Michigan? But this was given as the reason why he voted for the gas tax! What excuse does that leave him with? NONE! JUST ONE MORE SELL OUT!